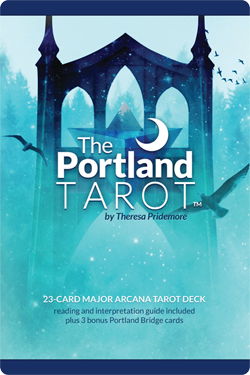 Email marketing (if applicable): With your permission, we may send you emails with regular content, program offerings, products for sale, and other information related to The Portland Tarot or Theresa Pridemore. Please know that we are intentional about everything that is sent out and endeavor to deliver content that is appropriate for what you subscribed for and isn’t going to overpower your inbox. We use a third-party provider, MailChimp, to deliver our newsletter. We gather statistics around email opening and clicks using industry standard technologies to help us monitor and improve our e-newsletter. For more information, please see MailChimp’s privacy notice. You can unsubscribe to general mailings at any time of the day or night by clicking the unsubscribe link at the bottom of any of our emails or by emailingtheresa@theportlandtarot.com. When you provide us with personal information to reply to a message sent from our contact from, complete a transaction, verify your credit card, place an order, arrange for a delivery or exchange/return a purchase, we imply that you consent to our collecting it and using it for that specific reason only. If we ask for your personal information for a secondary reason, like marketing, we will either ask you directly for your expressed consent, or provide you with an opportunity to say no. If after you opt-in, you change your mind, you may withdraw your consent for us to contact you, for the continued collection, use or disclosure of your information, at anytime, by contacting us attheresa@theportlandtarot.com. We use Square to process payments for purchase of our products or in person readings at events. Square is a secure payment processor with high end technology designed to protect your data and purchase info. Square will collect information from you required to process and ship your order, including credit card info, name and address, and other pertinent details. They then send us the information required to ship your order or communicate with you about it, including your name, email and physical address. Your credit card information is protected and inaccessible by us. Square maintains that data securely and allows us to process all transactions, from taking your order to refunding it, without seeing your credit card number or expiration date. This is totally private. When you buy a product you are not automatically consenting to receive emails from us. You must manually subscribe to the email list in order to receive updates about anything other than your order. If you paid in person, your credit card was used at the time of purchase to pay for your purchase, and the same info as above is tracked on the back end, except for your mailing address, which is not needed since shipping isn’t involved. For individuals who have signed up for online or in person readings, you may end up paying through PayPal or Quickbooks Online Invoicing. Either of these services allow us to track basic client information and send invoices securely via email. Your transaction happens over secure channels, so your credit card info is safe. We only keep the most pertinent information related to fulfilling your requested service in our files. If it is an in person engagement, your name, phone, email and physical address would be in our records. For online or phone, just your name, email and phone number. We do not store your credit card or banking information. 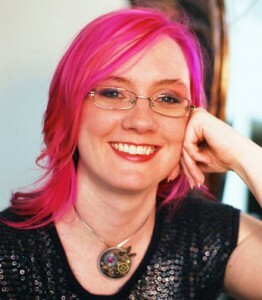 When someone visits www.theportlandtarot.com we use a third party service, Google Analytics, to collect standard internet log information and details of visitor behavior patterns. We do this to find out things such as the number of visitors to the various parts of the site. This information is only processed in a way which does not identify anyone. We do not make, and do not allow Google to make, any attempt to find out the identities of those visiting our website. Like most websites, we use small bits of data called cookies stored on users’ computers to simulate a continuous connection. Cookies let us ‘remember’ information about your preferences and passwords and allow you to move within our Service without reintroducing yourself within a browser session. Disabling cookies does not prevent you from accessing websites our website, but some features of our site may be degraded. If you would like to access, correct, amend or delete any personal information we have about you, register a complaint or want more information, please contact us at theresa@theportlandtarot.com.